The office of Governor Inslee announced details of its much awaited carbon tax proposal this morning before the State of the State address. Inslee had previously teased the idea of a “carbon pricing plan” during his supplemental budget announcement in December, but had yet to offer any specifics before today. Sponsored by Sen. Carlyle and Rep. Fitzgibbon, the tax bill would impose a $20 tax per ton of carbon dioxide on fossil fuels, including those that generate electricity. Starting on July 1, 2019, the proposed tax would start at the $20 per ton rate and would then increase by 3.5 percent plus inflation annually. 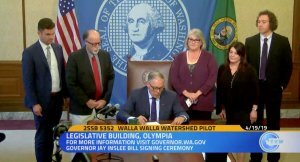 Inslee’s office estimates it will raise $1.5 billion in its first two years, and approximately $3.3 billion over the course of four years. The bill lays out specific revenue allocations for money raised by the tax. 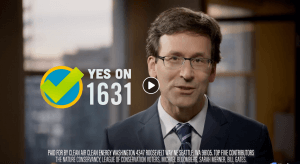 Fifty percent of the revenue would go toward investing and incentivizing Washington’s transition to a clean energy economy. 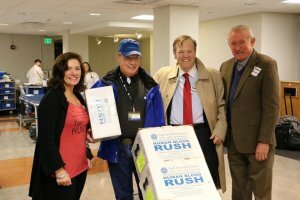 Thirty five percent would go toward a “water and natural resources resiliency account,” which would include updates to flood and storm water management infrastructure and improving forest health practices. The last fifteen percent would go toward supporting vulnerable, low-income communities that may be immediately impacted by the taxation of carbon. 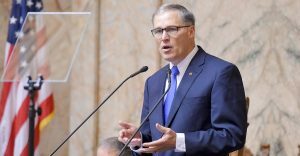 On several occasions, Inslee has mentioned using the carbon tax as a means to restore state reserves that could be used to move the McCleary timeline up to 2018. However, that funding mechanism is not specified in the bill, and would only be determined while negotiating Inslee’s supplemental budget. 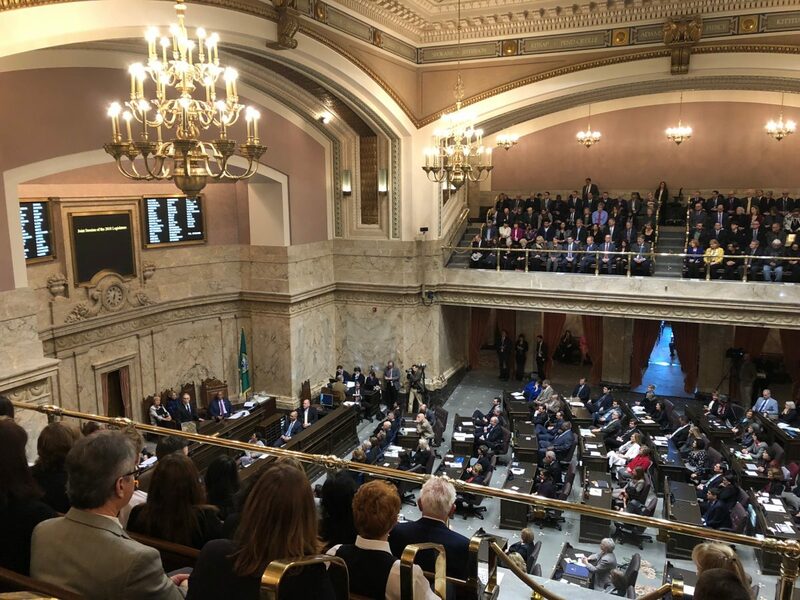 In his State of the State address, Inslee spoke of bipartisan support for the carbon tax, as well as support from various businesses and stakeholders across Washington. However, in a press conference following the State of the State address, members of the House and Senate Republicans were very critical of the proposal. Rep. Kristiansen also mentioned an upcoming hearing on an alternative bipartisan bill that he says is not tax heavy, but still deals with reducing carbon.